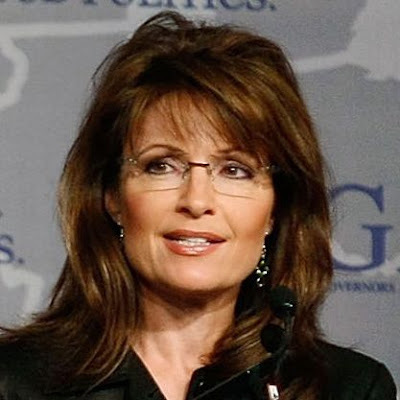 Palin also has other apparent qualifiers for the GOP 2012 race: she is not of Washington and doesn’t currently hold an elective office, having resigned the Alaska governor’s job last summer. A surprise move that drew considerable criticism at the time, since largely overlooked, her lucrative unemployment provides ample time now for priceless regular media exposure on Fox News and to rouse her base, as she did 11 days ago at the National Tea Party Convention, the next day in Texas and last Sunday to cheering thousands at NASCAR’s Daytona 500. What base does anyone see coalescing around other potential GOP competitors? While vocal Palin-haters reveled in her awful recent national poll numbers about presidential qualifications, they missed a fact: if she decides to run for anything, the first goal is to become the GOP nominee. And the voters Palin needs to convince about that are state-by-state Republicans, 69% of whom still see her favorably. Anyone who’s talked to her GOP supporters in recent weeks or watched her work a crowd comes away with a powerful sense of the Palin fervor. The more she’s derided by others or in the media, the more convinced her fans are that she is like them — a regular person derided by so-called elites, often unfairly. Translating such energy ultimately into votes is the key. And by an impressive coincidence two political experts with wise eyes and decades of experience studying and observing American politics and its transient characters have recently tapped out favorable reviews of this self-defined political rogue who unexpectedly overthrew the entrenched GOP establishment in Alaska when none of the regulars gave her a chance. Whitcover noted that polls show the highest voter anger or dissatisfaction with the federal government in a decade (about two-thirds). I want to speak up for the American people and say: ‘No, we really do have some good common-sense solutions.’ I can be a messenger for that. First and foremost, I want to be a good mom, and I want to raise happy, healthy, independent children. And I want them to be good citizens of this great country. And then I do want to be a voice for some common-sense solutions. I’m never going to pretend like I know more than the next person. I’m not going to pretend to be an elitist. In fact, I’m going to fight the elitist, because for too often and for too long now, I think the elitists have tried to make people like me and people in the heartland of America feel like we just don’t get it, and big government’s just going to have to take care of us. Finally, the veteran Washington watcher warned against deriding the unorthodox Palin. “The lady is good,” he said. We’ll see exactly how good she is in coming months. What is certain right now is that as good as Obama was at ultimately reaping $750 million and winning the White House, no one was paying this kind of attention — positive or negative — to him this far ahead of his 2008 nomination or election. If the world experiences a sudden shortage of red and blue dye, we can safely blame Sarah Palin. The former vice-presidential candidate/former Alaska governor (/former Republican?) spoke Tuesday night at Verizon Arena in North Little Rock, a fund-raising event for the Arkansas Republican Party. The visual theme was never in question. American flags flapped on every visible screen. Red and white banners flanked the speakers’ dais. Each table—there was a pre-event dinner—was bedecked with red napkins and lit from overhead by blue lights. Red, white and blue bows were affixed to the serving trays on the buffet tables. Blue carpet covered the arena floor. Speaking at a fundraiser for the state Republican Party at Verizon Arena, Palin said primaries help to produce candidates with the leadership Americans deserve and want. Arkansas Republicans could see several primaries for seats in the state’s congressional delegation this year. No fewer than eight Republicans have said they will seek their party’s nomination to challenge incumbent Democratic U.S. Sen. Blanche Lincoln, who is seeking a third term. Palin said “a lot of good candidates” will be asking for Arkansans’ votes this year, but she singled out only one by name, praising former Karl Rove aide and interim U.S. attorney Tim Griffin of Little Rock for his 13 years of service as a Judge Advocate General in the U.S. Army Reserve. Griffin is seeking the GOP nomination for the 2nd district congressional seat being vacated by the retiring U.S. Rep. Vic Snyder, D-Little Rock. “I get such a kick out of Arkansas politics and some of the characters over the past decades coming out of Arkansas,” Palin said. Answering questions submitted in writing by audience members, Palin declined to say what political office she will next seek, saying she is focused on helping other candidates in the midterm elections. “I’m doing everything I can, especially with these midterms, to get this country back on track,” she said. 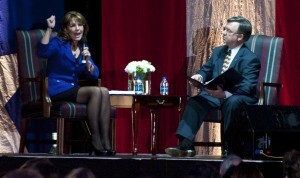 Tuesday’s event was the first fundraiser for a state political party at which Palin has appeared this year. She joked that she did not pick Arkansas just because it “starts with an A,” but because what will happen in Arkansas this election year will be fascinating to watch. “I think the rest of the country is saying, ‘Come on Arkansas, it’s time to make a change,’” she said. Palin said she believes people are sensing that it’s time for a change in how the federal government operates. She said people want smaller and smarter government, lower taxes, a strong national defense, reduction of the national debt and tougher action against suspected terrorists. “We need a commander in chief. We don’t need a constitutional law professor at the lectern telling us that they deserve our rights,” she said. Palin also urged Republicans to welcome independent voters and the Tea Party movement, which she said will need to start picking a party to back. “I dare say the Republican Party is the most closely aligned with this wonderful movement,” she said. Numerous Republican candidates and elected officials attended the event. Mike Huckabee, who finished second only to McCain-Palin in the 2008 race for the GOP presidential nomination, was not present. State GOP Chairman Doyle Webb told reporters he expects the event to raise about $400,000 for the party. He would not say how much Palin was paid to appear. Sarah Palin is dismissed by some on both the Left and the Right as a lightweight. She’s supposedly wet behind the ears because she’s rarely traveled abroad or served as a privileged United States senator, which consists mostly of ordering lackeys around. 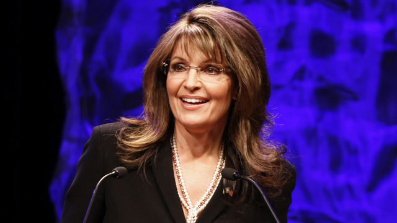 Of course, Palin is way too pretty (and a non-Ivy-Leaguer besides) to have an I.Q. anywhere near Obama’s. It’s astonishing what these critics continually ignore: that Palin is a mom — not once, but five times over. How can this inconvenient truth be so easily dismissed? Five children — count them — including a special-needs boy with Down Syndrome. Looking at Palin’s slender frame, it’s hard to imagine her actually doing this not once, not twice, but five times. She was wiping spills and her kids’ mouths at the same time as she was cleaning up Alaska. Of course, being a frontier woman, Palin can do it all. Palin can do practically anything because this is how her parents raised her. Getting up at dawn with dad to hunt moose, little Sarah then dashed off to school and later basketball practice (even playing a championship game with a broken ankle). Somehow she eked out time for homework and a myriad of jobs. I think that people underestimate Palin because she makes it all look so easy. She’s a force of nature, and she does the seemingly impossible with her trademark sunniness. In America 2010, happy and functional people like Palin are perceived as dim. Meanwhile, Palin just glides by like a majestic bird in flight. She’s called a c–t, Trailer Trash Barbie, and a moron, but she just keeps going, like the fiercest prizefighter. Palin takes the punches, gets up, and keeps on rocking — always with her effervescent smile. There is nothing lightweight about her, our Alaskan Amazon, who once gave a speech in Dallas while in the throes of labor with Trig. Did you hear that? I’m talking labor, which I understand is like having one of those prizefighters throwing punches from deep inside. Are you listening, the insufferable Robert Gibbs? Yet what Palin does is hardly different from what mothers do every day in this country. Most moms are hardworking, resourceful, intuitive, and savvy — and persistently underrated. And one more thing: Mothers will move heaven and earth to protect and nurture their children. Palin embodies this warrior spirit towards not only her own kids, but all the children in this country — and the grownups, too. Can anyone in his mind say the same thing about Obama? 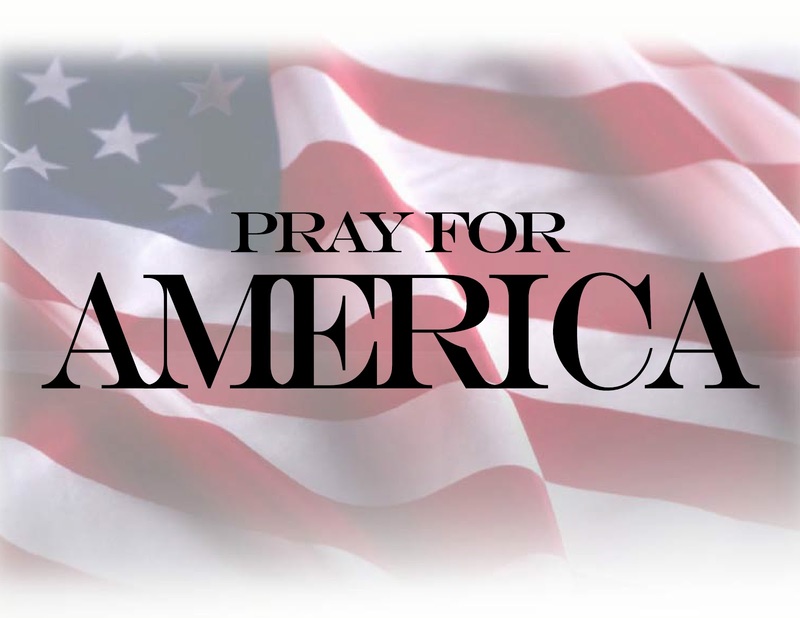 Could this country be in more capable hands than the strong and loving ones of Sarah Palin? These posts articulate, much better than I could, many of the facts and feelings surrounding this. I can’t speak for others but I can speak about my own experiences. When my youngest son was born with special needs, it was found that he could benefit from an early intervention program. I met so many wonderful families with beautiful children, many with Down syndrome, and have kept some of those friendships nearly 20 years. These children are gifts from God, a reminder of what beauty is. They have the purest of hearts and don’t get caught up in all the drama and pettiness that consumes the rest of us. My other son, who is autistic, is much like this. He is trusting, sometimes to a fault. He feels no ill will toward people and thankfully, was oblivious to much of the ridicule when he was smaller. I remember one incident in particular when he was about 12. He was always a big kid for his age, and was once described as being “perpetual motion in the flesh.” He never sat down, was always on the move, had volume control issues and a great deal of difficulty with body language and personal space. He still, at the age of 22, gravitates toward things that people much younger than 22 are interested in. One thing he loved was going to the park. So, one day when he was 12, we went to the park. Here we were during the day (because I homeschooled) and the park was filled with young mothers with their very young children. He would get so excited and bolt for the wooden fort with ladders and tunnels he barely fit in, but I would let him play there because he loved it so much. On this particular day, he bolted toward a group of small children as they played on this fort. I saw the mother of one girl who had to be about 2. She stared at my son and as he came closer, she pulled her child from the piece of equipment she was playing on and whisked her away, sheltering her from my son. All she could see was this big kid, who appeared to be a young adult, bolting toward her child. They just didn’t understand. I’m grateful my son was not aware of what had happened. I, however, was painfully aware. Your rigid thoughts might bend. And this I’d like to show. I’d say you’re special too. that way there is no blame. And even hold my hand. I have also faced the stares, the pointing, the whispers under the breath about how the kids looked or behaved, and of course the ever-present criticism from people who just don’t understand. She articulated the situation very well. When will this stop being acceptable for anyone with special needs? 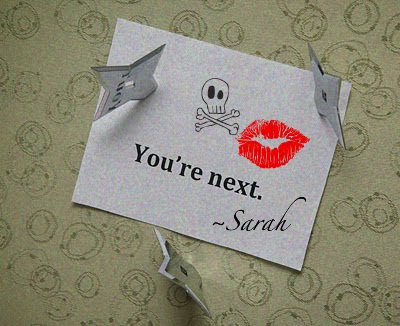 When will the attacks stop for Sarah, her kids, and her family? She did rally the troops in her state to make calls to the sponsors of this show. WE ALL should be making those calls. These attacks need to stop and those who produce “Family Guy” need to understand that in no way is this acceptable. Palin said she was “having fun and not thinking about the politics of this,” but didn’t miss the chance to energize her base in one of the most critical regions of the largest swing state. Sporting a black coat, blue jeans and heels — no hand notes — the self-described “hockey mom” got the full experience in her first visit to the Daytona 500. Palin wasn’t with her husband, Todd, on Valentine’s Day. She told the crowd he was back in Alaska preparing for the Iron Dog snowmobile race. “Whether it’s racing cars, dogs, snow machines, it’s an event like this that brings all Americans together,” she said. Palin took just two questions from the only two reporters around her entourage, consisting of about a dozen security personnel and managers. That didn’t stop her from doing what she does best: getting out in the crowds and mingling with supporters. “I’m thinking about this good, active, speed-loving event that a lot of Alaskans, too, are really in to,” said Palin, adding that some elements — minus the snow — were similar to the famous Iditarod sled dog race. Even some of the biggest names in NASCAR and entertainment couldn’t resist her. Seven-time Daytona 500 winner Richard Petty posed for a photo, singers Tim McGraw and Harry Connick Jr. greeted her, and everybody from Army members and Marines to autograph-seeking fans and kids in wheelchairs got hugs and handshakes. Crew members on pit road even took a break from changing tires, some stunned to see Palin walking through their familiar domain before the race. “If you run (for president) in 2012, you’ve got my vote,” one told Palin, shaking her hand. That was perhaps the biggest bonus of Palin’s visit. No region is a greater bellwether of who will win Florida and its 27 electoral votes than the counties that stretch along Interstate 4 from Tampa Bay, through Plant City and into Orlando and Daytona Beach. Palin-mania easily surpassed Danica-mania at Daytona International Speedway on Sunday. 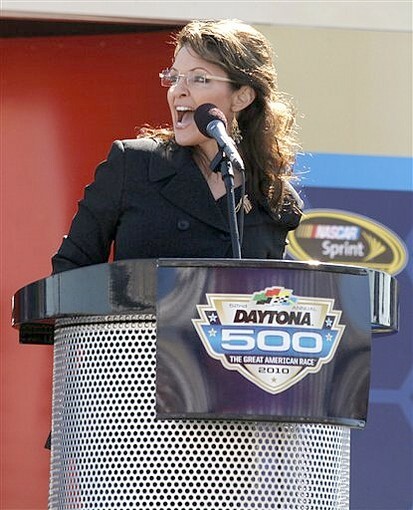 When she arrived for the drivers meeting, Palin was immediately mobbed. She briefly chatted with Republican National Committee chairman Michael Steele, shook hands with supporters and smiled big. She took a seat up front next to Harry Connick Jr., who sang the national anthem for the race. When NASCAR president Mike Helton acknowledged her as a special guest, she got the largest ovation from the room, packed from the front to the back with drivers, team members, support personnel and onlookers. After sitting through the meeting, Palin could not get out the door. Fans mobbed her, asking for pictures and autographs. Her 12-person entourage, comprised of track security, a policeman, friends and spokespeople, tried to get her to the door and to her next appearance. But Palin could not help herself, and kept signing and posing for pictures. Even when she was able to get out the door, she stopped every few feet to take pictures. One fan asked where her husband, Todd, was on Valentine’s Day. Palin said he couldn’t make it because he’s in Alaska preparing for the Iron Dog, the world’s longest snow-mobile race. As she got moving again, Palin stopped when she saw a boy in a wheelchair to say hello and sign an autograph. As she walked ahead, she answered two questions about attending her first Daytona 500. Palin, in town to speak at the Chamber of Commerce on Monday and sign copies of her book, “Going Rogue,” continued on toward the track, stopping to take pictures with soldiers, firemen, men, women and children. She entered pit road and stopped to meet Richard Petty. Then she made her way to the tri-oval stage in front of the grandstands, where she delivered a 30-second message that roused the crowd. As she tried to make her way out, Palin kept stopping for her fans, who shouted, “We love you, Sarah!” Her spokespeople kept screaming, “We gotta go! We gotta go!” But Palin kept obliging, relishing all the love. Enjoyed a beautiful day at the Daytona 500! Attached are photos of this great American event. P.S. Just added another pic below – this one with racing legend Richard Petty. He’s got a heart for our special needs kids, and we love him for all the generosity and support he provides them through his compassionate programs. As mentioned in the articles above, husband Todd was at home training for the Iron Dog snowmobile race, which starts on Friday, February 19th, at 9:30 AM Alaska time. I am continually amazed by two ethnic groups in America: Blacks and Jews. Both are absolutely hated by the left in this country, and yet, both groups vote almost as a block for democrats. It makes no sense at all to me. In fact, many of the far left radicals openly support terror groups like Hamas over Israel. Our president has many ties to people who openly support Hamas! US President Barack Obama is an inept, incompetent leader. More than his failure to pass his domestic agenda on health care and global warming despite his Democratic Party’s control over both houses of Congress, Iran’s announcement on Thursday that it is a nuclear power and has the capacity to produce weapons-grade uranium is a testament to Obama’s feckless incompetence. Even his most ardent supporters are admitting this. Since Obama first announced his wish to sit down with Mahmoud Ahmadinejad, at a Democratic presidential candidates’ debate in the spring of 2008, the 44th US president’s only strategy for dealing with Iran has been to appease its leaders. And as of Tuesday, he still believes that ingratiating himself with the regime is his best bet. As for sanctions, well, Obama said it will take “several weeks” to put those together at the UN. Got that? As far as Obama is concerned, Iran with nuclear weapons isn’t the main concern. Israel using force to prevent Iran from acquiring nuclear weapons is the main concern. US PRESIDENTS have a far freer hand in foreign policy than they have in domestic affairs. A president’s ability to implement his domestic agenda is constrained by Congress. Congress has much less of a say in foreign policy. But the main constraining factor for a US president in both domestic and foreign affairs is public opinion. Over the past year, Obama failed to pass his domestic agenda even though he enjoyed governing majorities in both houses of Congress, because the public opposed his agenda. So, too, if the public is able to express its opposition to his foreign policy, particularly as it relates to Israel and Iran, he will be unable to sustain it. To date, in light of his sinking approval ratings, the main thing Obama has had going for him is that since the presidential election, his political opponents have lacked a leader capable of uniting his opponents around an alternative path. Over the past week, that leader may have emerged. Palin excoriated Obama on his handling of US foreign policy. Among other things, she noted that a year into his quest to appease dictators, America’s international standing is in shambles. “Israel, a friend and a critical ally, now questions the strength of our support,” she added. And if that still isn’t enough, there is her lapel pin. The politician who leads the populist opposition to Obama decided to make her most important speech since the 2008 election wearing a pin featuring the US flag and the Israeli flag. Palin, who is considering a run in the 2012 Republican presidential primaries, is using her public platforms to reassemble the coalition of security hawks, social conservatives and blue collar workers that propelled Ronald Reagan to the White House in 1980. Her support for Israel serves her in building support among both security hawks and social conservatives. Unlike Obama’s empty protestations of support for Israel, Palin’s support is obviously heartfelt and therefore will not diminish while Obama remains in office. And as Palin becomes stronger, her ability to influence the US debate in a manner that constrains Obama’s freedom to intimidate Israel into allowing Iran to become a nuclear power will rise. In spite of Palin’s extraordinary support for Israel, the American Jewish community overwhelmingly rejects her. As Jennifer Rubin noted in her article, “Why Jews hate Palin,” in Commentary magazine, Jews disapproved of Sen. John McCain’s choice of Palin as his running-mate by a 54 to 37 percent majority. The sneering broadsides published against Palin by leading American Jewish writers are legion. In her article, Rubin gives a number of reasons for American Jews’ rejection of Palin. On the one hand, American Jews, who overwhelmingly self-identify as Democrats and disproportionately identify as liberals, oppose Palin for the same reason they oppose all social-conservative Republicans – because she isn’t a liberal Democrat. What makes American Jews’ rejection of Palin unique is its emotional potency. Rubin argues that the visceral hatred that many American Jews express towards Palin is effectively an issue of class hatred, or snobbery. They are four generations removed from the sweatshops where their great grandparents labored on New York’s Lower East Side. And they don’t like this woman with a funny accent who went to University of Idaho, guts fish and shoots moose. This may be true. But if it is, American Jews might want to rethink their loyalty to their social class. As the demonstrations against Ambassador Michael Oren at UC Irvine, against former prime minister Ehud Olmert at University of Chicago, against Deputy Foreign Minister Danny Ayalon at Oxford, as well as the disinvitation of Prof. Benny Morris at Cambridge and the celebrity of Harvard’s anti-Semitic Prof. Steve Walt show clearly, the bastions of intellectual elitism where American Jews feel most at home have become the repositories of the most virulent hatred of Jews in America and the West today. Liberal standard bearers like Hollywood have had no compunction about giving prestigious awards to movies like Paradise Now, which glorified murderers of Jews in a manner unmatched since the days of Leni Riefenstahl. Elite media outlets like The Atlantic monthly are only too happy to publish the rantings of newly fashionable critics like Andrew Sullivan. THE FACT of the matter is that for Israel’s sake such a transformation can’t happen quickly enough. It isn’t that American Jews have to change their social agenda, but they must recognize that today, sadly, there is not meaningful bipartisan support for Israel in the US Congress. The 54 lawmakers who wrote Obama a letter last month asking him to force Israel to open up Gaza’s borders were all Democrats. Opposition to passing sanctions against Iran, and opposition to an Israeli strike on Iran’s nuclear installations, are only politically significant among Democrats. The fact of the matter is that Obama came to many of his anti-Israel sensibilities through his professor friends – Rashid Khalidi, John Mearshimer, Samantha Power, William Ayres, Bernadine Dohrn and, of course, the late Edward Said. Americans interested in national security – and particularly American Jews who support Israel – should be the first ones to second Palin’s statement. Sarah Palin’s emergence as the mouthpiece of populist opposition to Obama presents Israel’s supporters – and particularly Israel’s Jewish supporters – with an extraordinary opportunity and an extraordinary challenge. Palin’s coupling of support for Israel with her populist domestic agenda marks the first time that support for Israel has been treated as a core, populist issue. The opportunity this presents for American Jews who care about Israel is without precedent. But of course, to make the best use of this opportunity, American Jews who support Israel have to disappoint Wieseltier. They have to acknowledge that the Left has rejected their cause and increasingly, rejects them. Obama’s failure to prevent Iran from moving forward with its nuclear program, and his stubborn refusal to support an Israeli move to deny Iran the ability to threaten Israel and global security as a whole, place Israel and core US national security interests in unprecedented jeopardy. His fellow Democrats’ willingness to support him as he maintains this perilous course means that the Democratic ship has abandoned Israel, and strategic sanity. Palin’s future in politics is unknowable. But what is clear enough is that today hers is the strongest single American voice opposing Obama’s foreign policy and the loudest advocate for supporting Israel and denying Iran nuclear weapons. For this she deserves the thanks and support of American Jewry. As Americans, we must support Israel to the fullest. They are our strongest ally in that part of the world. Sarah Palin is unabashed in her support for Israel and the Jewish people. This is a good thing. Hopefully the Jewish people in America will wake up and realize who their friends are and who their enemies are.